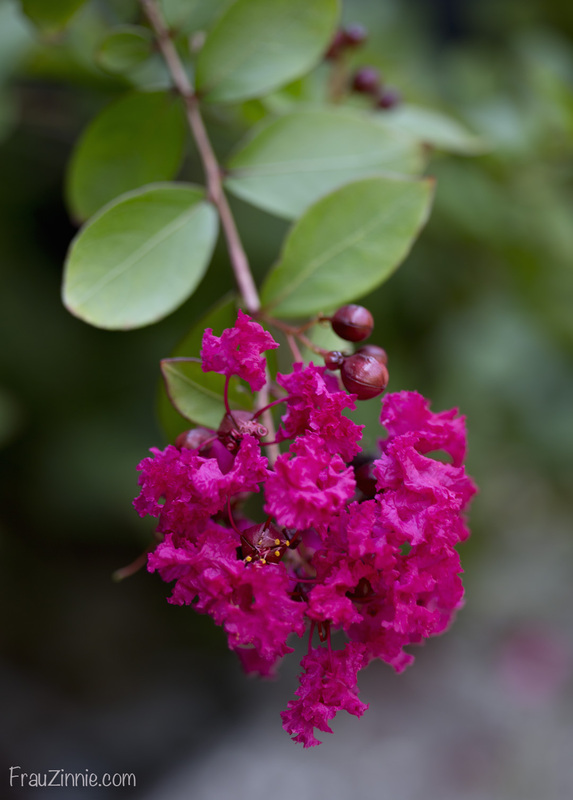 This week's Floral Friday theme is brought to you by the color ... fuchsia! All joking aside, these two plants just happen to be the only flowers I photographed this week - not only because my crazy schedule has limited my time in the garden, but because these two plants are just dominating the scene with their bright, joyful color. And coincidentally, they are both plants I am trialling now in my garden thanks to Proven Winners and J Berry Nursery. The first plant is Proven Winner's Supertunia "Vista Fuchsia" petunias - and it has a really awesome story to go along with it. Not only is this plant blooming nonstop in my ceramic glazed pots in the front garden, but the little ladybug inside the bloom almost didn't make it. When I went outside to photograph what was blooming, the insect was trying (unsuccessfully) to navigate her way out of the birdbath. I was afraid she would drown so I scooped her out. 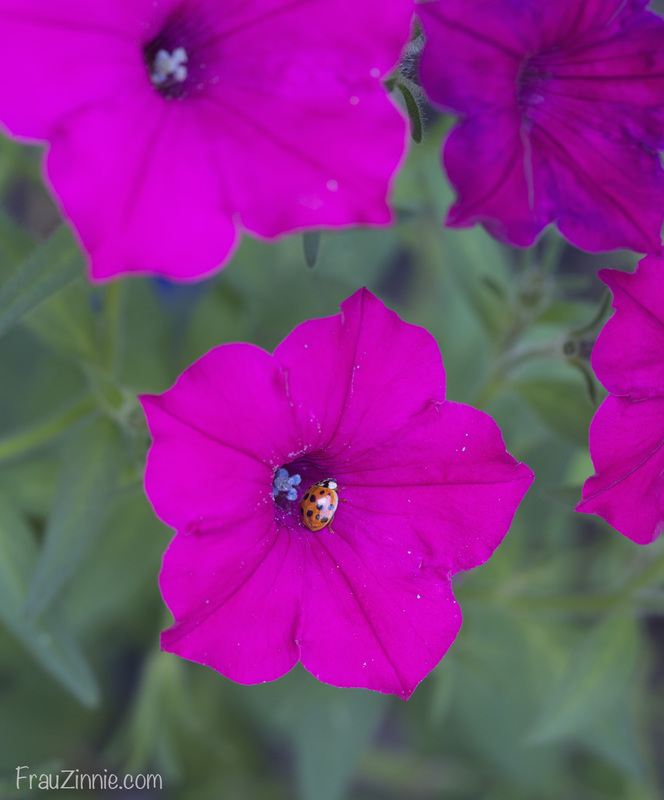 I decided to place her on the petunia to dry out, and she stayed there for several minutes, regaining her composure. Who wouldn't want to recover on a petunia? The second plant is also growing in one of my ceramic glazed pots, which is perfect for this plant from the Deckorations line. 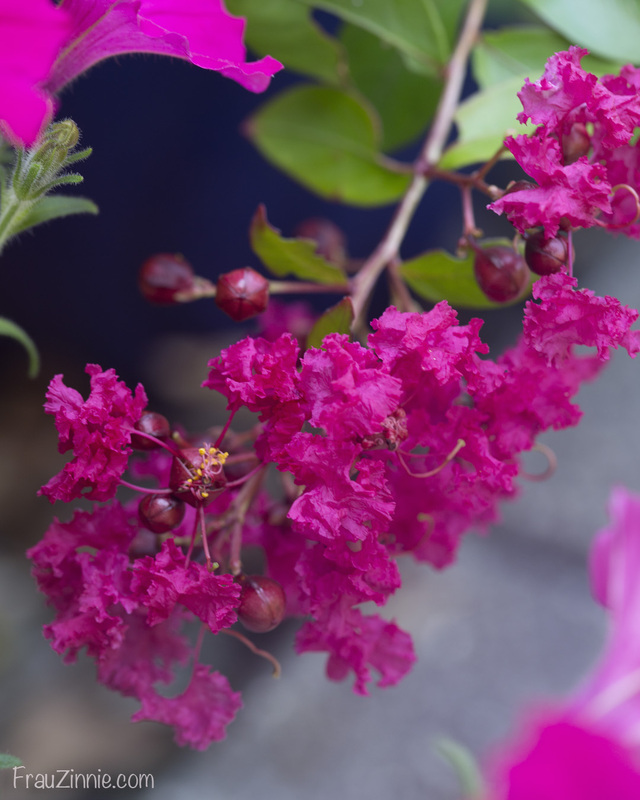 This pretty blossom is from Ruby Prince crapemyrtle, which does really well in the hot sun. It's also very tolerant of not being watered constantly. Usually I do not have luck with crapemyrtles in Connecticut, because the winter can be too cold for this Southern plant. I'm planning on bringing this guy inside this winter to see how he overwinters. What's blooming - or starring - in your garden this week?